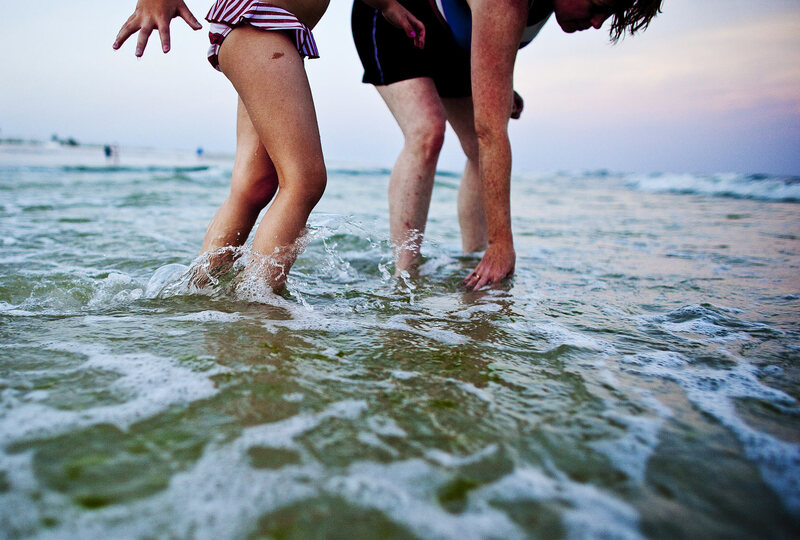 Judy Cutcliffe, right, of Birmingham, Ala., and her daughter Mia Natello, 5, search for shells in the surf at Pensacola Beach, Fla. on July 13, 2010. "When I heard about the oil spill, it was a real heart break," said Cutcliffe, "this is always the city I've wanted to move back to." Enjoying a nearly empty beach in July would normally be impossible said Cutcliffe, who once lived in the area.